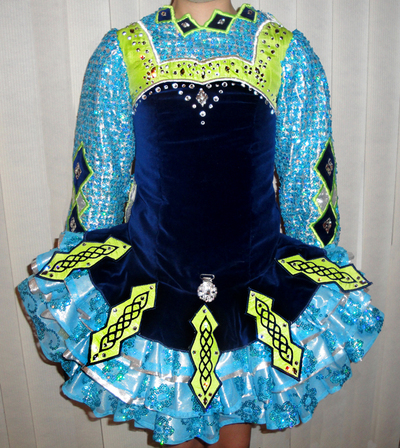 Lots of Swarovski crystals adorn this Ciarrai Eaton dress giving it spectacular stage presence. Dress comes from a smoke-free, pet-free home and is in PERFECT condition. There is let out room in torso. Asking Price: $US799. Shipping costs not included. Sale is final.